The medical staff and nursing facilities are required to provide care in a safe and healthful environment to ensure the needs and requirements of disabled and elderly adults are met. Unfortunately, the Bethesda nursing home abuse & neglect attorneys at Nursing Home Law Center LLC have witnessed a rapid increase in civil cases involving nursing home abuse and neglect. Many of these cases reveal that employees and staff members at nursing facilities are preying on society’s most vulnerable members. Without action, many of these cases go unresolved, leaving the victim helpless without an advocate. Throughout the year, Medicare routinely collects data on every nursing facility in Bethesda based on information gathered through investigations, inspections and surveys and makes the information public. According to the federal agency, surveyors found serious violations and deficiencies at twenty-two (23%) of these ninety-seven Bethesda nursing facilities that led to residents receiving substandard care. If your loved one was injured, abused, mistreated or died unexpectedly from neglect while living in a nursing facility in Maryland, you have legal rights to ensure justice. We encourage you to contact the Bethesda nursing home abuse & neglect lawyers at Nursing Home Law Center (800-926-7565) today to schedule a free, no-obligation case review to discuss a financial compensation lawsuit. The city of Bethesda shares a border with Washington, D.C. in an extremely heavily populated area where one out of every six residents are senior citizens. Many of the nursing facilities in the community have become increasingly overcrowded as many more elderly enter their retirement years. Overcrowding and understaffing has led to serious issues that are difficult to resolve the state and federal regulations. As a result, efforts to stop abuse and neglect and remove the resident from that unacceptable environment are challenging without legal assistance. State and federal regulations require nursing facilities to develop, implement and enforce plans of care for every resident to ensure their needs are met. However, in many incidences, the nursing home is unable to fulfill these plans, often at the expense of the resident resulting in serious and life-threatening injury. In an effort to serve as a legal advocate for nursing home residents, our Bethesda elder abuse lawyers continuously review publicly available databases including Medicare.gov to examine opened investigations, filed complaints and health concerns in nursing facilities throughout the Bethesda/Washington DC community. Our Maryland nursing home neglect attorneys have compiled the detailed list below outlining nursing homes throughout the Bethesda area currently maintaining substandard ratings comparable to other nursing facilities nationwide. In addition, our lawyers have posted their primary concerns involving detailed cases where residents of the nursing facilities have suffered harm due to neglect, mistreatment, unsanitary conditions, accident hazards, spread of infection and other serious problems. However, the state investigator recognized that the nursing staff at Kensington Nursing and Rehabilitation Center had not completed the Incident Report until 11/10/2015 at 6:43 PM [or] five days after the incident.” In addition, the facility also failed to complete a Post Fall assessment by a licensed nurse following each resident fall, as is the facility’s policies and procedures. No documentation was provided to the state investigator showing “evidence of a Post Fall Assessment completed for [the resident] after the 11/05/2015 fall. Our Takoma Park nursing home neglect attorneys recognize a failing to follow physician’s orders when administering pain medication to residents might cause additional pain, harm or injury. The deficient practice by the nursing staff at Sligo Creek Center might be considered negligence or mistreatment of the resident because they failed to coordinate the care of providing pain medications as prescribed by the consultant pain physician. Additional notations were made by the psychiatric nurse practitioner to increase medications and additional lab work. “However, further review revealed no evidence of notification to the resident’s responsible party” noting any treatment plan changes or continuation of present management. Our Silver Spring nursing home neglect attorneys recognize the failing to follow protocols and immediately inform the resident, resident’s family members and responsible parties of any change in their condition violate state and federal regulations. The deficient practice by the nursing staff at Arcola Health and Rehabilitation Center might be considered mistreatment or negligence that could cause additional harm. The state surveyor conducting a review noted that the resident’s medical records upon admission from a hospital involved pain medications routinely ordered on an as-needed basis (PRN) following her medical diagnosis in recent hip surgery. The physician ordered a pain medication given every three hours for severe pain as needed and additional IV medication for managing pain. Our Rockville nursing home neglect attorneys recognize the failing to follow protocols to accurately transcribe any physician’s orders for prescription medications could cause additional harm, injury or pain to the resident. The deficient practice of the nursing staff that Shady Grove Center might be considered negligence or mistreatment of the resident. Our Gaithersburg nursing home neglect attorneys recognizing that failing to provide proper treatment and services to assist the resident in increasing their range of motion could cause the resident additional harm or injury. The deficient practice of the nursing staff at Montgomery Village Health Care Center could be considered negligence or mistreatment because no intervention was taken at numerous opportunities to prevent contractures from developing a pressure sore. Our Mitchellville nursing home neglect attorneys recognize failing to follow protocols and provide adequate treatment to prevent the development of pressure ulcers could cause the resident additional harm, pain and injury to their well-being. The deficient practice by the nursing staff at Villa Rosa Nursing and Rehabilitation Center might be recognized as mistreatment or neglect because it fails to follow the established procedures and protocols adopted by the facility. Our Clinton nursing home abuse attorneys recognizing failing to follow procedures and protocols to report and investigate any act of abuse or possible abuse to the state agency might be considered negligence or mistreatment to the resident. The deficient practice of the administration and nursing staff at Bedford Oaks Center failed to follow the established procedures and protocols adopted by the facility and violate state and federal regulations. In many incidences, cases involving abuse, neglect and mistreatment go undetected, unidentified or unreported for various reasons. Sometimes, the victim does not speak out because they are physically unable or lack the capacity to tell others what happened. Other times, the neglect or abuse is not obvious to others when the victim is not properly fed, provided adequate fluids or administered the right medication. Other times, the victim suffers serious injury due to a lack of adequate supervision or develops a serious life-threatening condition such as a facility acquired bedsore due to a lack of training or care provided by the staff. Family members and friends can become proactive to ensure that any case involving a facility acquired pressure ulcer, dehydration, malnourishment, physical abuse, overmedication, abandonment, improper restraints, slip and fall injuries, open sores were infections can be dealt with legally to hold the nursing facility accountable. By taking appropriate steps, the loved one can be assured better treatment and moved to a safer environment that provides the quality care they deserve. The Montgomery County nursing home abuse attorneys at Nursing Home Law Center LLC fight aggressively to assure the resident’s rights are protected and that the nursing facility changes their practice. In working as an advocate for our client, we protect other residents in nursing facilities from future incidences of neglect and abuse. Our Maryland team of knowledgeable lawyers has long provided legal representation in nursing home victim cases involving mistreatment in nursing homes throughout the Bethesda/Washington DC area. We handle all nursing home neglect, personal injury and wrongful death cases on contingency, meaning no upfront fee or retainer is required. 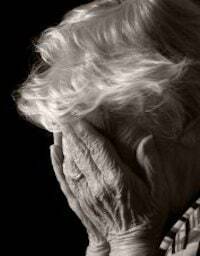 Contact our Montgomery County elder abuse case law office today at (800) 926-7565. Schedule your appointment for your free, no obligation case review.